1. Weather. 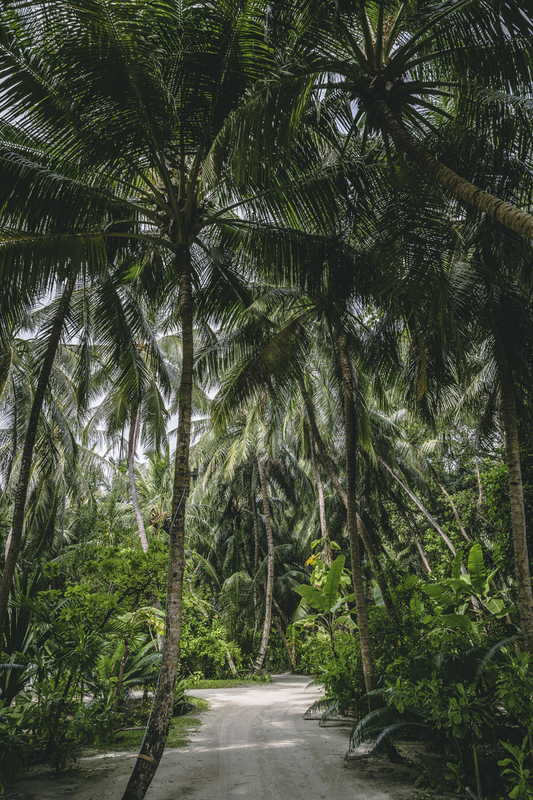 Tropical country tucked next to India and Sri-Lanka is lucky to have warm humid climate all year round. No matter the month, you’ll arrive to sunny +30 degrees. April-November is regarded as the rainy season, so sometimes it can get quite cloudy and wet. 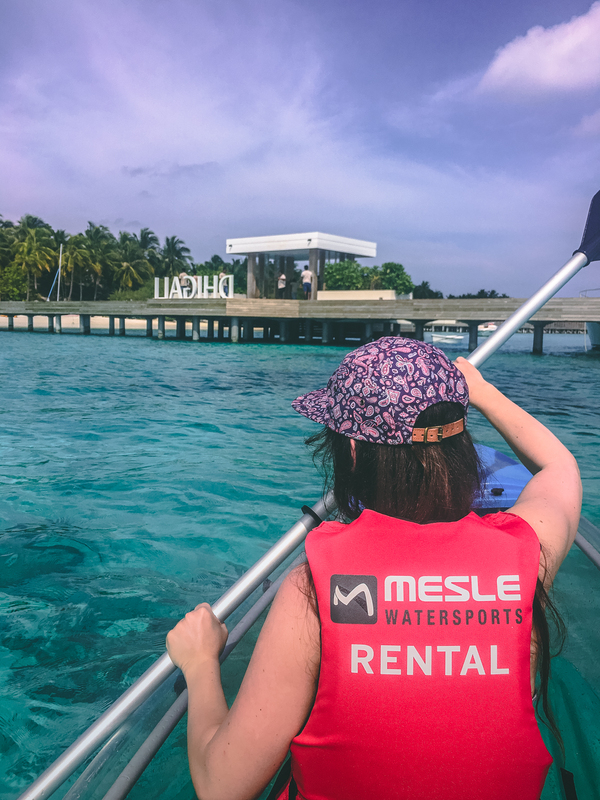 We’ve been there in November and apart from a couple of rainy hours have only noticed bonuses of traveling to Maldives during the rainy season: the resorts are half-empty, which makes this destination even more tranquil and private, and offer great discounts! 2. Money. USD is a common currency here. All prices will be in USD and in case you prefer cash, you can easily pay in American dollars. My advice is to have some cash with you anyway – local staff relies on tips and though you can always add them to your check (in that case tips will be divided between all employees), in case you want to thank someone particular, you’ll have to leave that person cash (in that case it is allowed to keep it). By the way, don’t be tricked with the prices – they normally don’t include taxes, so you will be charged about 20% more. 4. Drones. Leave your flying friend at home! Though we have spotted a couple of drones at one of the resorts, they are so annoying and uncommon here, they managed to shake down an entire hotel in a sec. Definitely not my type of attention:) Officially drones are forbidden in Maldives. It might be hard to notice new tiny drones at the customs, but think twice – are those couple shots really worth the risk and spoiling the day of your neighbours? 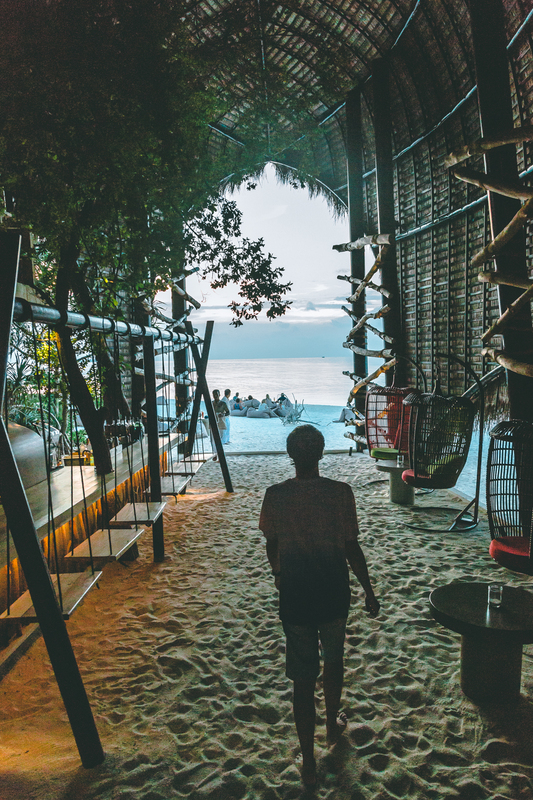 There are now new on-trend hostels and cheaper accommodations, located on the local islands. 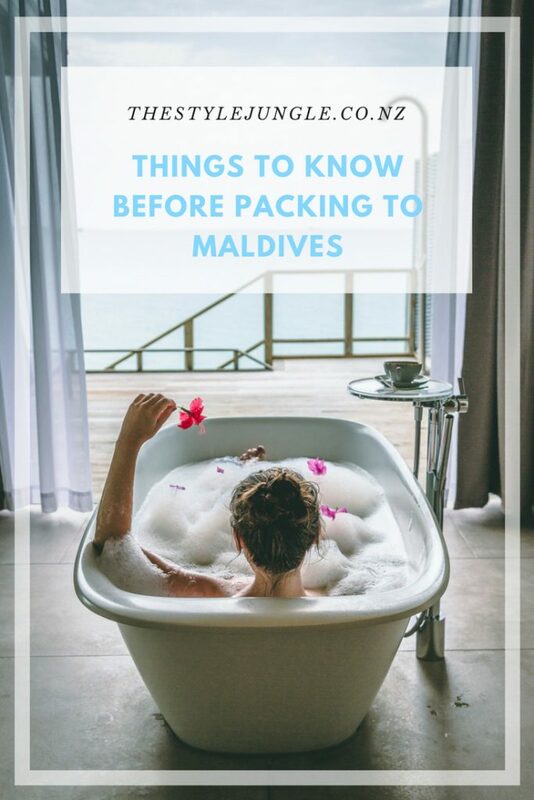 Avoid these in case you don’t want to sunbath fully dressed:) But traditionally each Maldivian resort occupies one entire island. Some of them are tiny like Kandolhu, that can be circled in 8-9 minutes; some are so huge, you’ll need a buggy to reach the opposite side, like it was in Kuramathi, nearly 2 km long island. Which one to choose depends on your expectations. 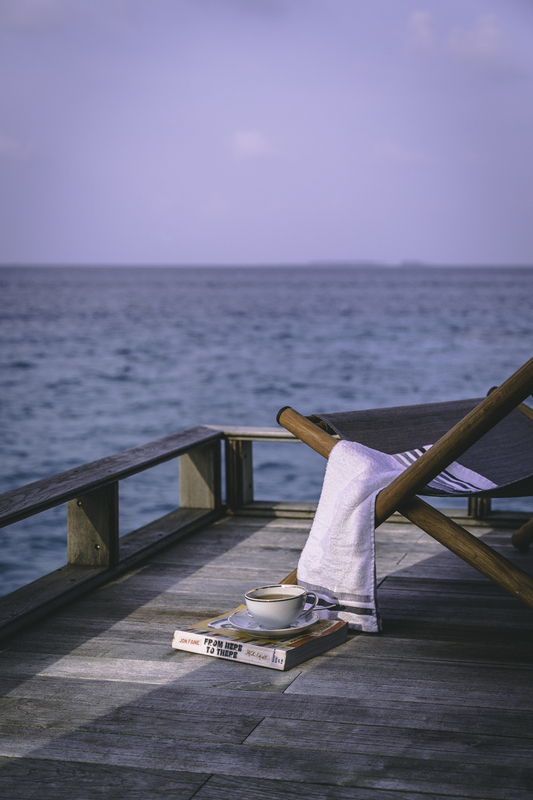 Seeking calm, peaceful me-time? Pick a smaller resort. They accommodate less guests and normally don’t have big pools or kids areas, thus no families and bachelor parties:) Kandolhu, for example, even banned motorised water vehicles to avoid any noise! Meeting new people and having the widest range of activities (floating banana, I’m looking at you) is your idea of a perfect vacation? Bigger islands tick off all the boxes. But don’t be surprised with the lack of privacy in that case! 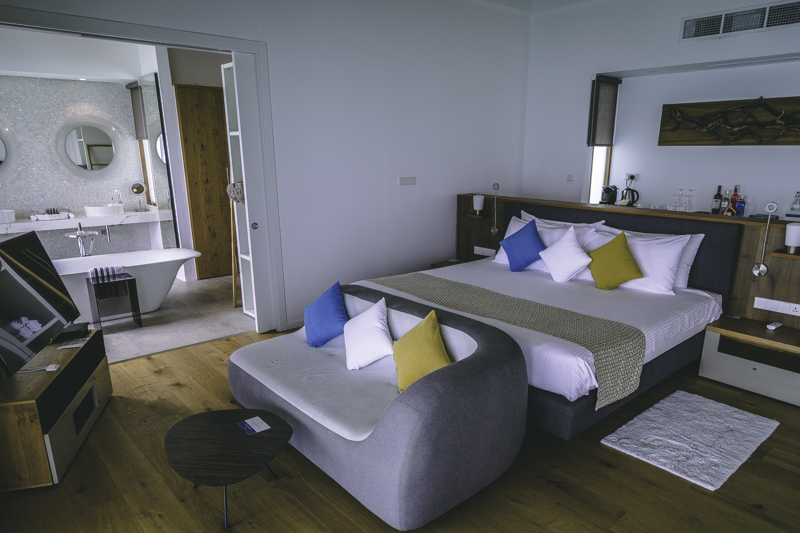 Generally, there are four main types of villas at any Maldivian resort: beach villa, overwater villa, beach villa with a pool, overwater villa with a pool. 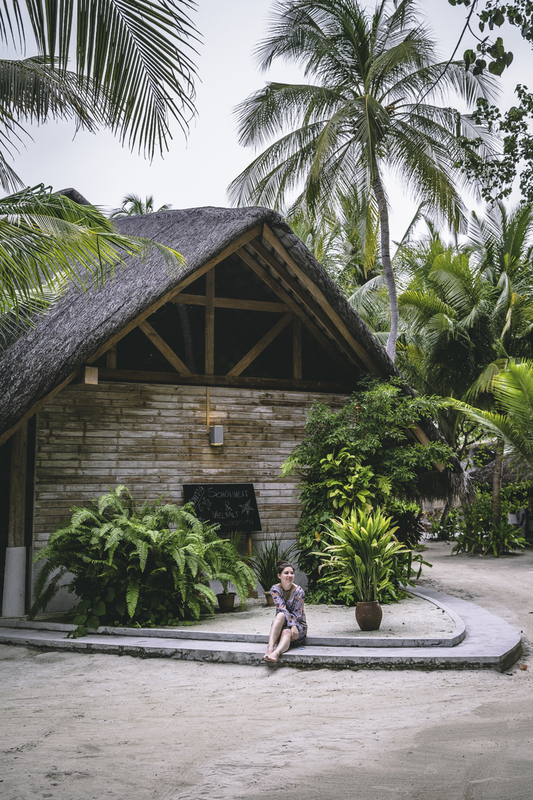 They might also be called ‘bungalows’, but I doubt it really makes any difference:) Bigger islands often have ‘island’ or ‘garden’ villas as well, which means they don’t have direct access to water – probably not worse the money you’ll safe. The size and amount of luxurious add-ons varies as well, but you will easily recognise more exquisite options by the higher prices. Things get trickier with overwater or beach types. Both are epic:) Both will have cosy terrace with table and comfy sofas or chairs. While overwater villa is a quintessential Maldivian accommodation, it definitely lacks the warms and cosines of the sandy beach. 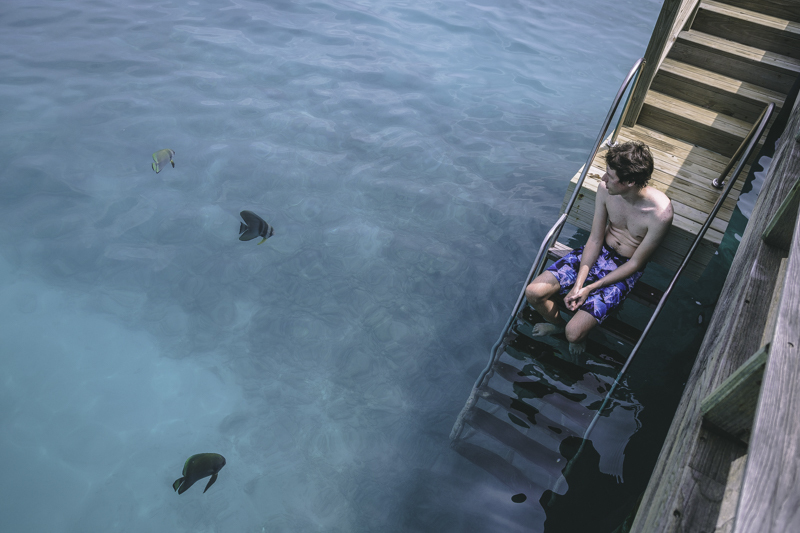 Though I loved having private ladder to the ocean. Local ocean is mostly quite shallow, so it also means you’ll be able to swim immediately, instead of walking another 50 meters in a knee-high water. 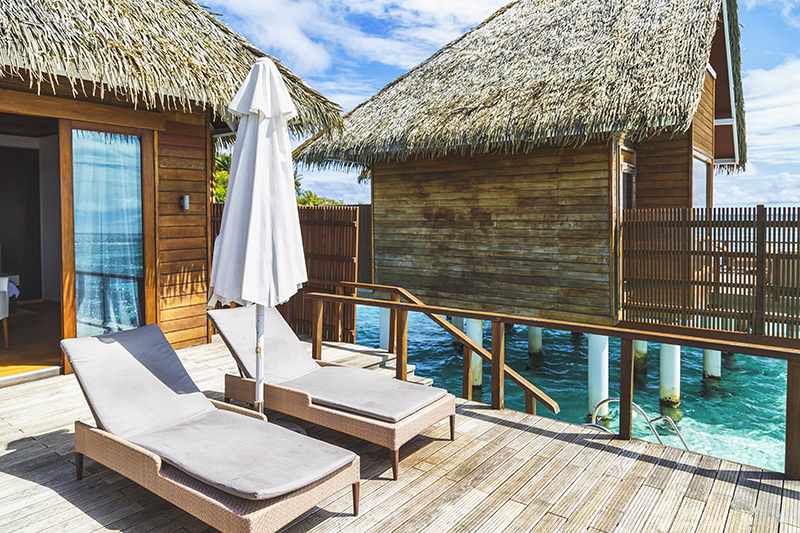 On the other hand, beach villas normally have their private beach chairs for sunbathing. To say nothing about that divine soft sand you can never get enough of. Overwater villas are often more expensive, so go through all the available photos and maps to decide whether you’re 100% happy with it. 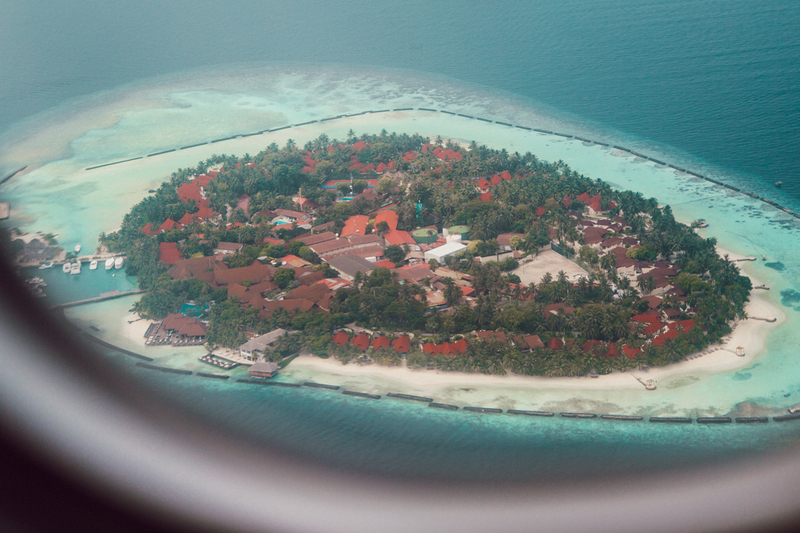 I couldn’t be happier to live in the beach villa in Velassaru, for example. 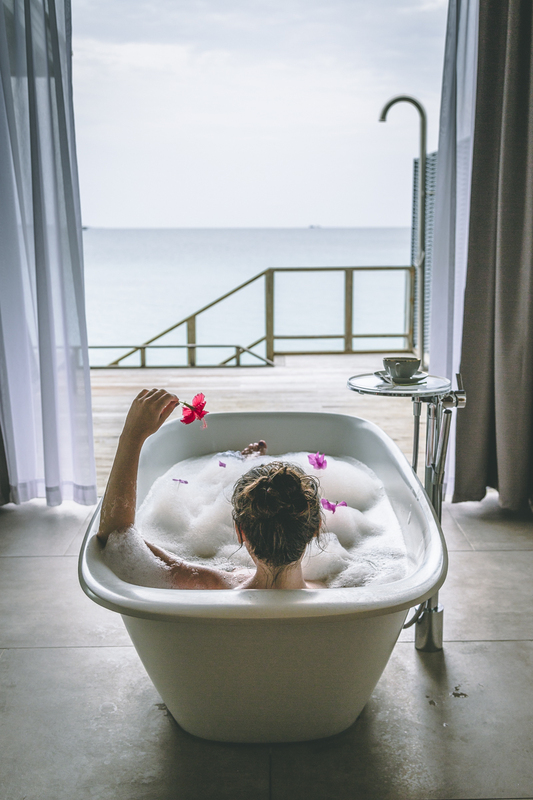 Firstly, because overwater villas there are located next to a very popular SPA, which makes normally super private villas not so private anymore. 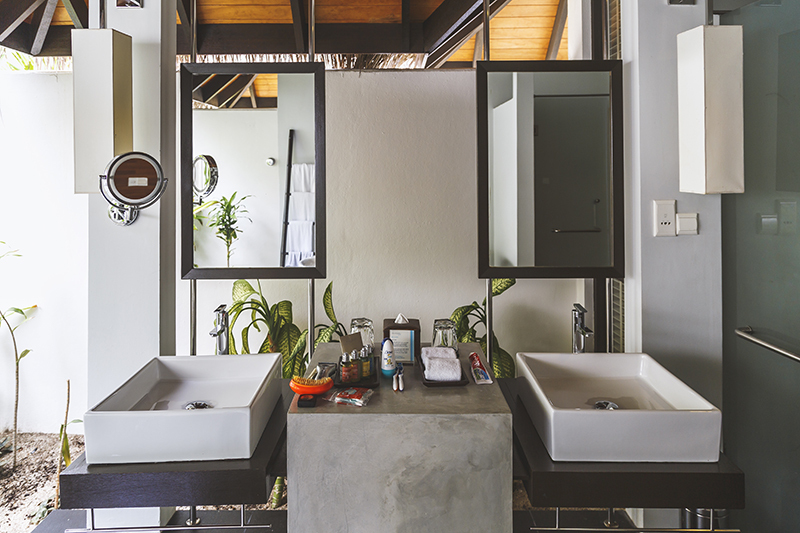 And secondly, because there is nothing like that amazing giant bathroom of the beach villas! 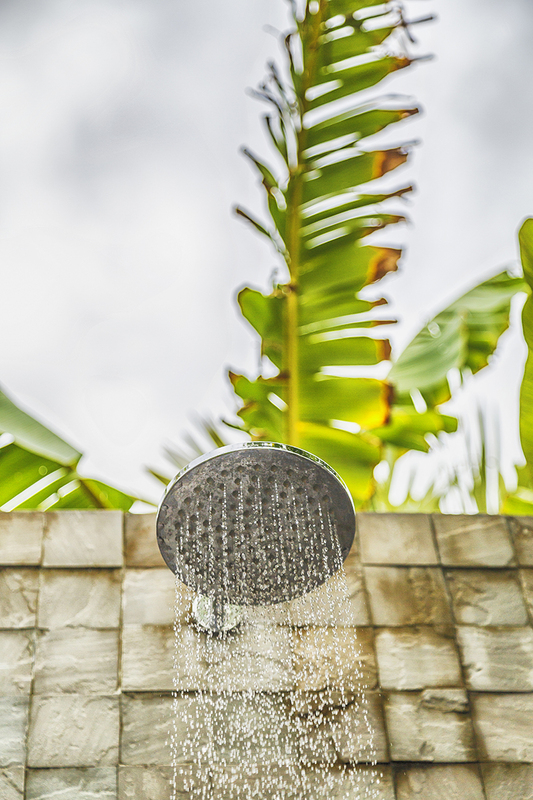 With lush greens, spacious bathtub and a garden shower. Seriously, I never wanted to leave this place! 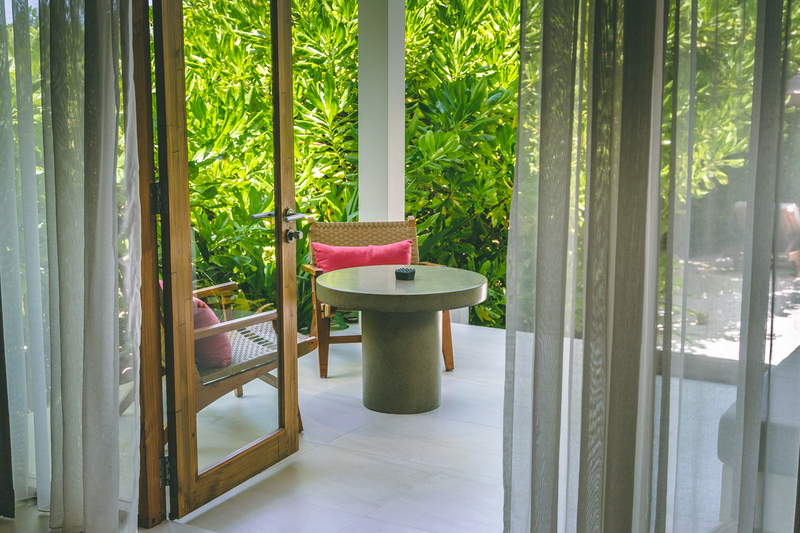 When booking, I also recommend to pay attention to the sunset/sunrise view of your villa. 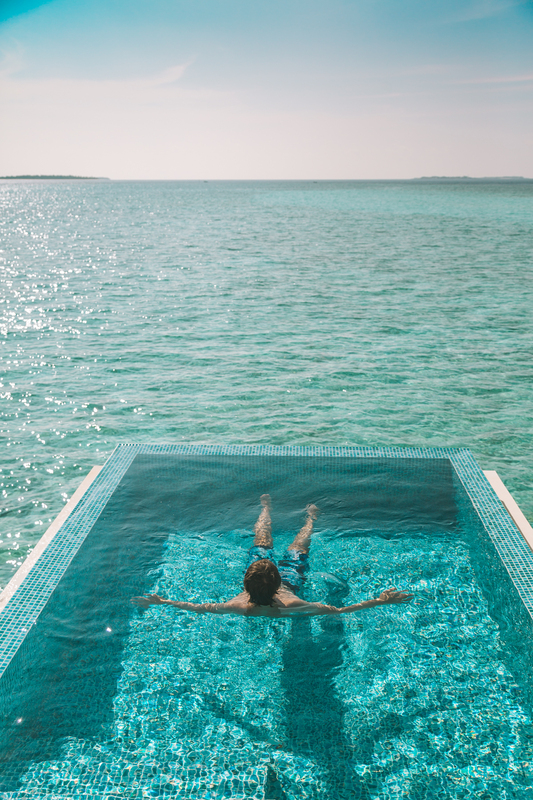 These hours in Maldives are fabulous and definitely must-see. Some resorts like Dhigali even organise special sunset bars to let you be present in the magical moment in full comfort. 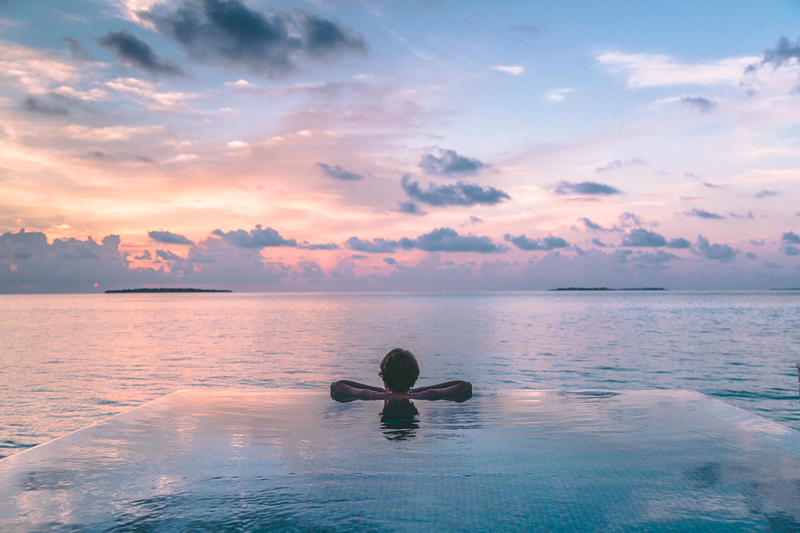 If your hotel is not one of them, rely on your body clock – Early Birds should pick sunrise villas and greet the sun from the comfort of their own terrace, wrapped in a bathrobe and sipping on your morning cappuccino (many resorts have coffee-machine in each villa). Probably the most complicated part. 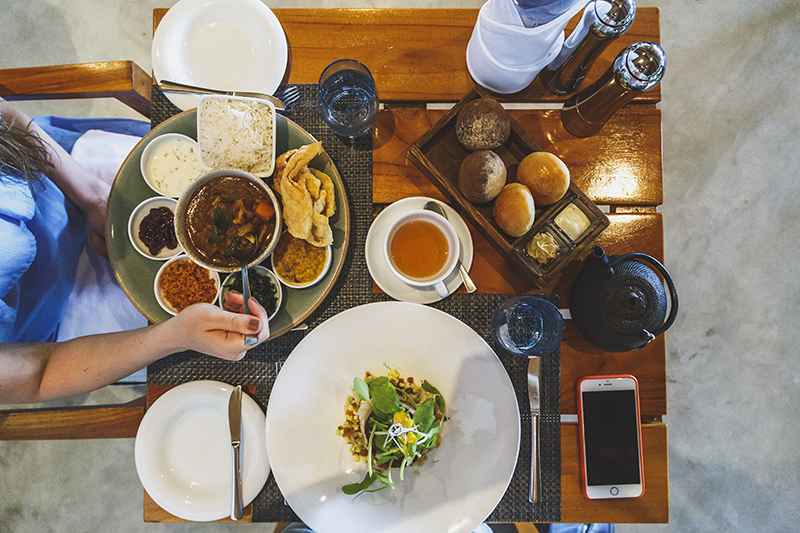 There are as many meal plans, as there are hotels in Maldives. 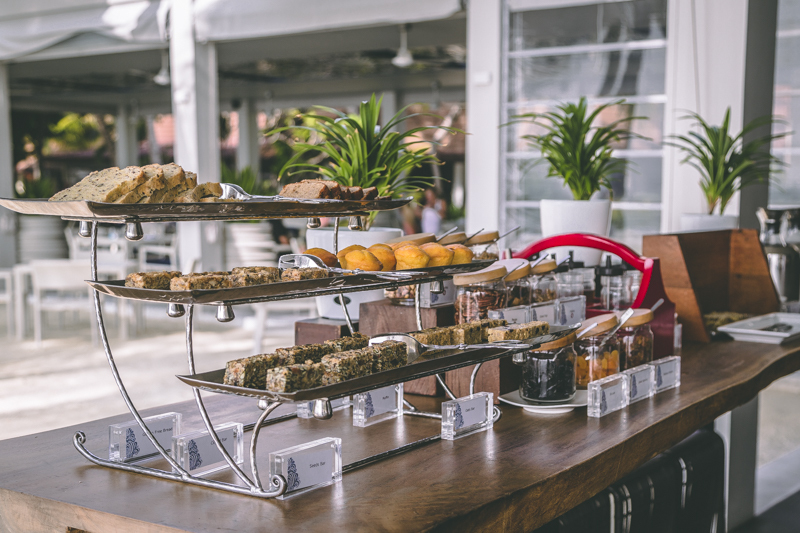 The majority of the resorts definitely have either ‘breakfast included’ or ‘full-board’, and the rest of the options vary. The one thing I can recommend is to choose one of those pre-booked options is to pay as less as possible during the vacation. Separate meals can be extremely expensive! And isn’t it just so nice not to worry about your expenses and whether you should go for that one extra dessert today? Kandolhu sticks with these two options, while in Kurumba, for example, you can also pick ‘breakfast+dinner’ option, called ‘half board’. For $65USD per day you have two buffet meals included and can also dine at any of the island restaurants with a 50% discount. Full-board costs $85USD per day. Just to compare, we checked out Kurumba’s Italian restaurant and dinner there costed us over $100USD (I can’t remember now, what exactly did we eat, but I doubt we handled appetizer+main course each, probably even less). The message is obvious. Overall, we totally enjoyed local food, and overeating quickly became a habit:) Traditional local food reminds Indian a lot and you can definitely try it at any resort – either in a traditional restaurant or simply ask your waiter for it – they are always very welcoming and happy to suggest something truly authentic. 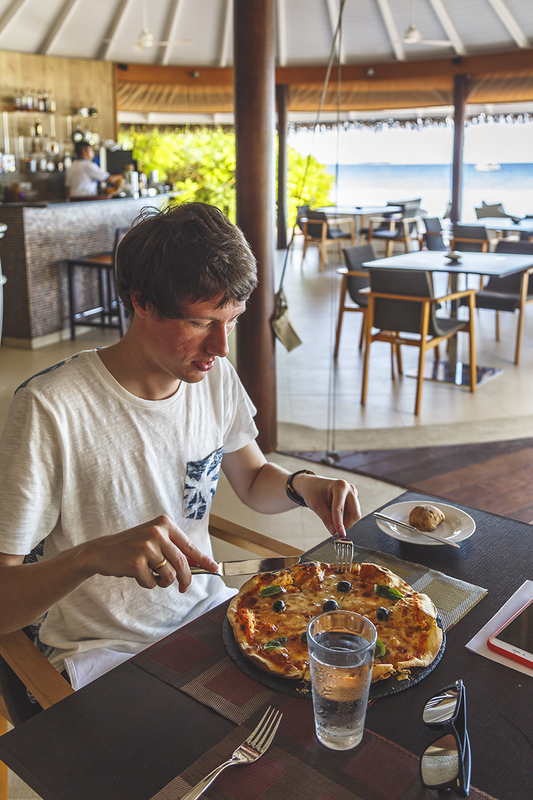 There is also no shortage in an international cuisine – pizza, grilled fish and veggies, salads. Alex fell in love with the tartars here and set himself on a mission to taste and compare this dish in every resort we visited, which he successfully accomplished:) My main surprise awaited in coffee section. For some reasons, local soy cappuccino is always a little sweet. It is also more watery, than New Zealand one – I suspect different proportions. But why is it so sweet remains a mystery! P.S. Yes, I’ve asked – no sugar was added. 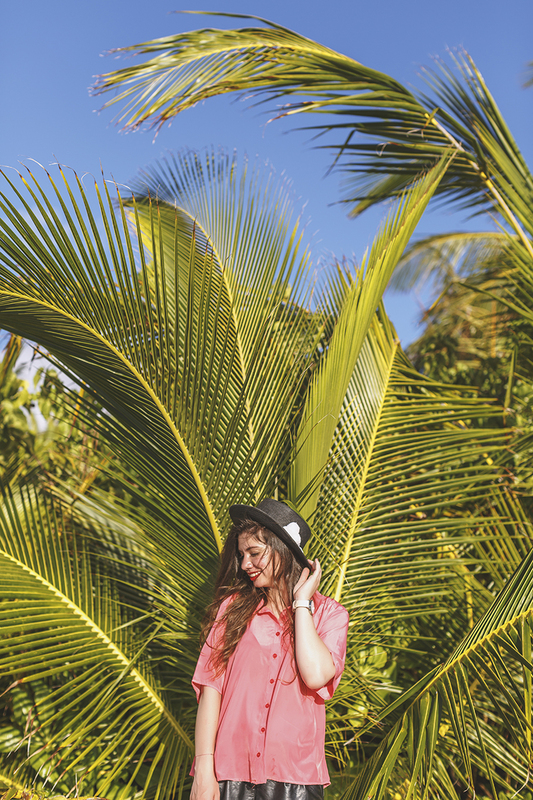 It is a common myth that Maldives is a boring destination for those willing only to roast under the tropical sun. Yes, you won’t find historical museums here, nor will anyone take you to the theatre, shopping mall or in a zoo. But don’t judge local leisure-time activities too quickly. Here are things that would keep you entertained for weeks and weeks. 1. Snorkelling and diving. Maldivian reefs boast colourful underwater life. While local corals look a bit grey (just a particular type), fishes seem to never disappoint! Tiny, huge, bright, brave, curious and quirky, they are everywhere and surround you as soon as you jump into the water. Add gracious, noble sea turtles, behaving like they are the queens of these waters, and funny small sharks – and you’re already having the time of your life! 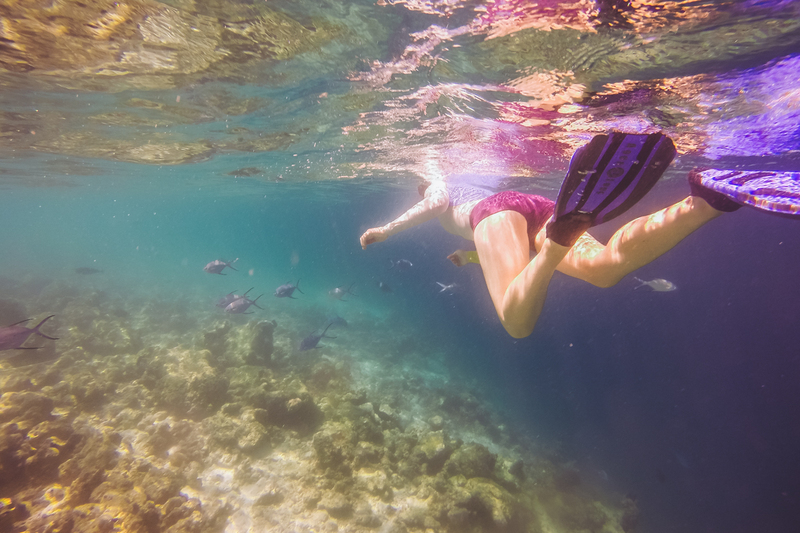 Most resorts offer snorkelling gear for free, so you don’t need to carry anything in your suitcase. 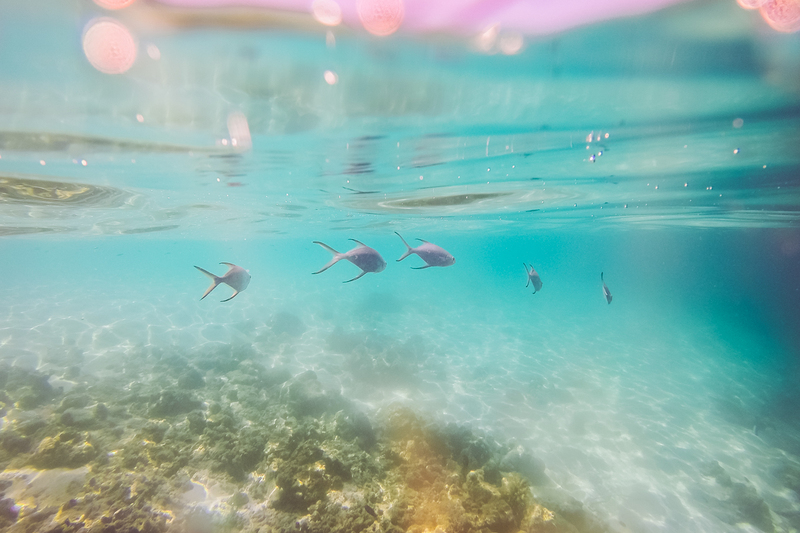 Kandolhu also provides every guests with a free GoPro to film their underwater adventures. 2. Water sports. What else to do on island surrounded by water? 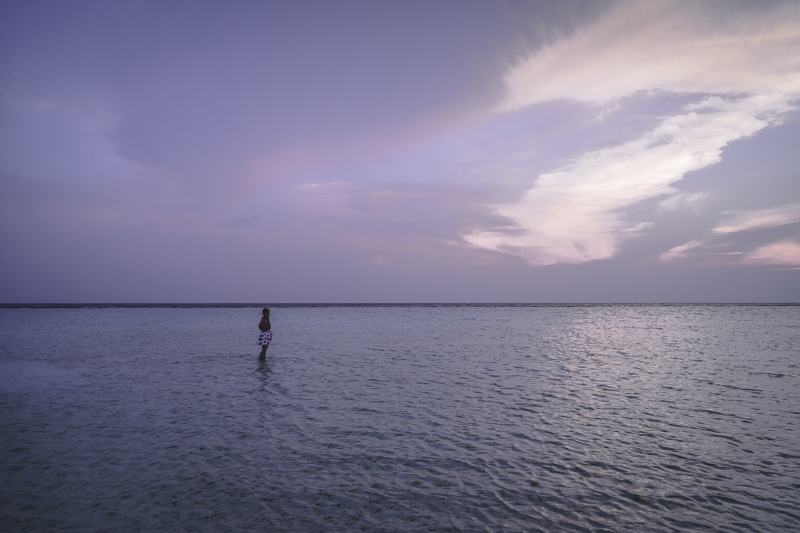 Explore the options of your resort, they should include SUP-surfing, glass bottom kayaks (Maldivian must-do! ), windsurfing, jet ski, catamarans, etc. 3. Fishing. Incredibly popular attraction! 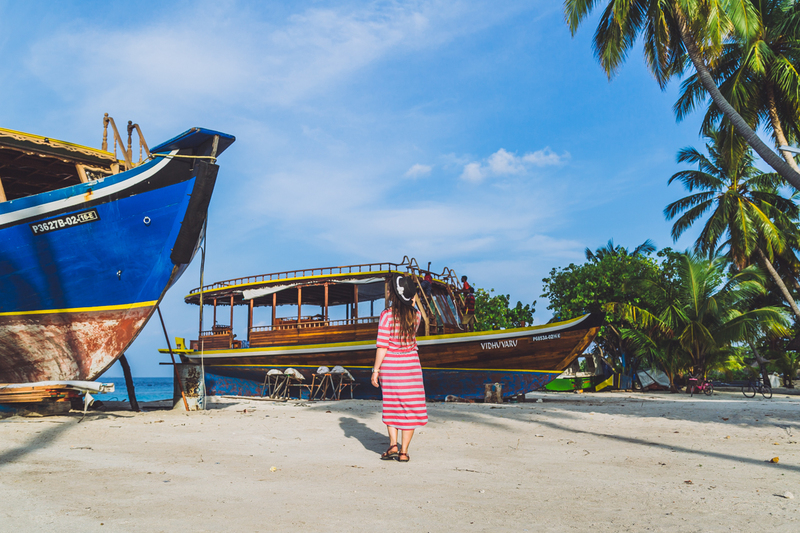 It can be traditional Maldivian fishing, sunrise fishing… Many resorts have scheduled fishing tours, just pick the convenient time and let your reception now. If you’re keen for an ultimate experience, theyre are always private fishing options. 4. Visit to the local island. Something I was dying to do! 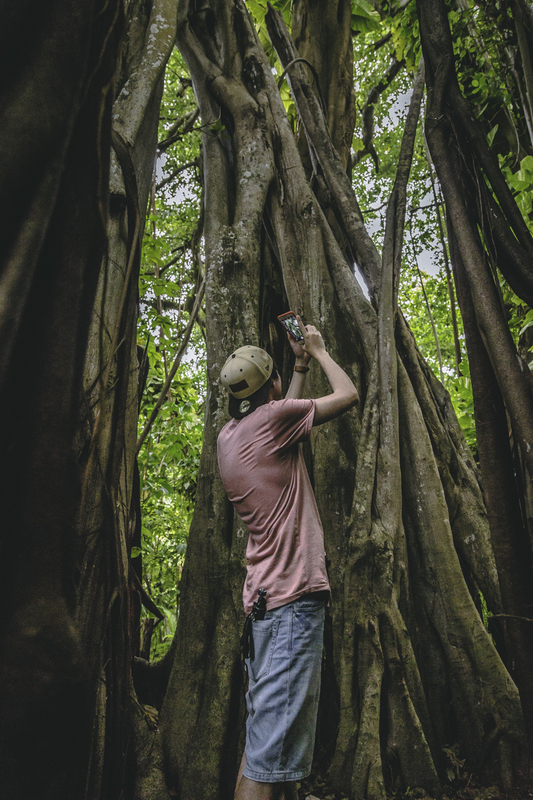 We booked a tour at Dhigali and it was hands down the most memorable experience of an entire trip. Local lifestyle is so different from what we are used to. Women mostly take care after their colourful homes, kids and street around the house, that’s why local islands are always so clean and neat. Elderly generation normally has a special place to gather and chat, fishing boats are parked along the white beaches. So simple, peaceful and beautiful! 5. Sports. Sunrise and sunset yoga were my go-to options! You can also try jogging, tennis, martial arts. Many resorts include different types of fitness into their daily schedule of free activities. For an extra charge you can even have a personal trainer and a special programme modified to your needs. How is that for a luxurious bootcamp? 6. Something cool:) There are lots of unique things you won’t meet anywhere else in the world. How about having a sneaky peek into the life of the resort’s stuff? Or sailing on a glass bottom yacht? Or having your own private romantic dinner on a beach? Dolphin safari? Or even spending an hour or so in an open-air library? Or dinning in an underwater restaurant with sharks swimming above your head? And don’t forget hitting your nerves on a giant waterslide! 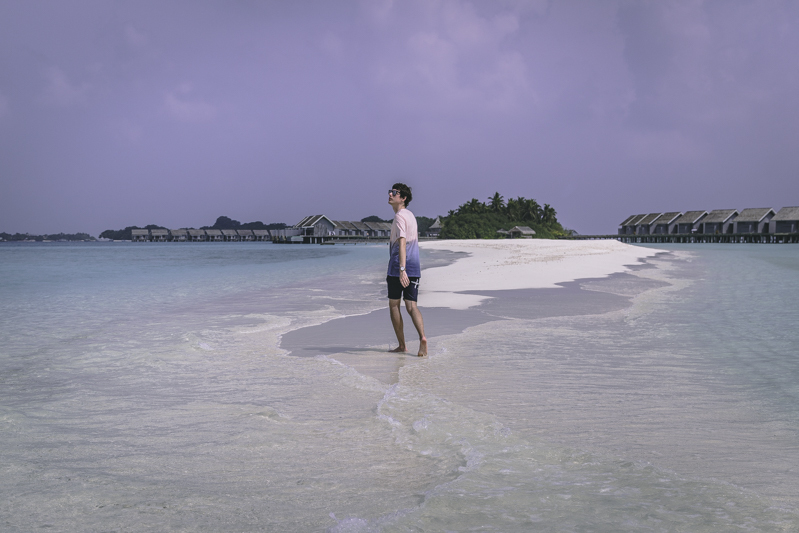 There are over 140 hotels in Maldives and to attract visitors they have to think of more and more very special options. What makes your resort stand out? Click on the video to watch all our vlogs and travel videos from Maldives!